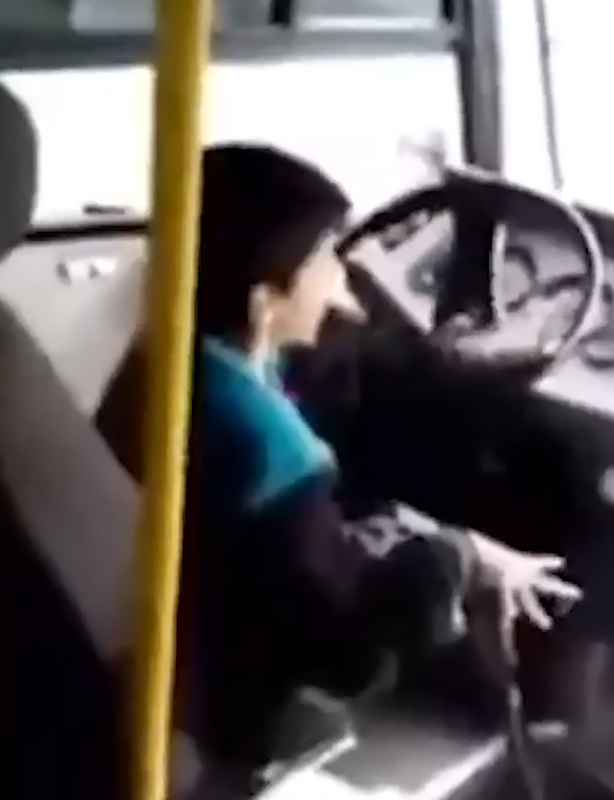 This is the shocking moment a young boy drives a bus through a capital city while steering with one hand and seemingly sounding the horn with the other. 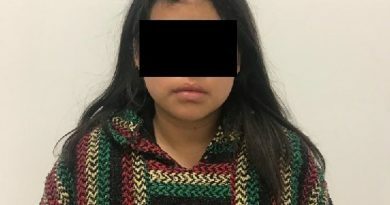 The incident was filmed in the central Mexican capital Mexico City and posted on social media where it has been widely circulated. It is believed that no passengers were on board at the time. 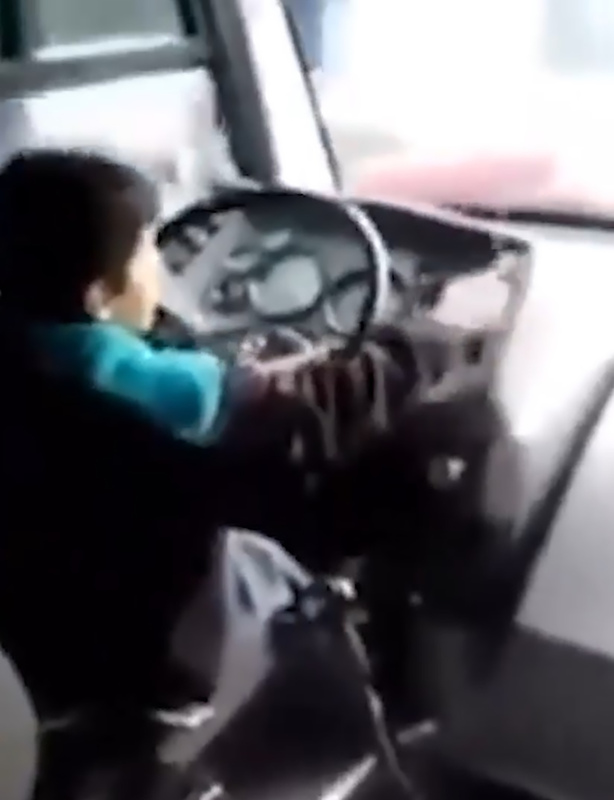 In the footage, the youngster, around eight years of age, is seen driving the bus at speed along a city street. 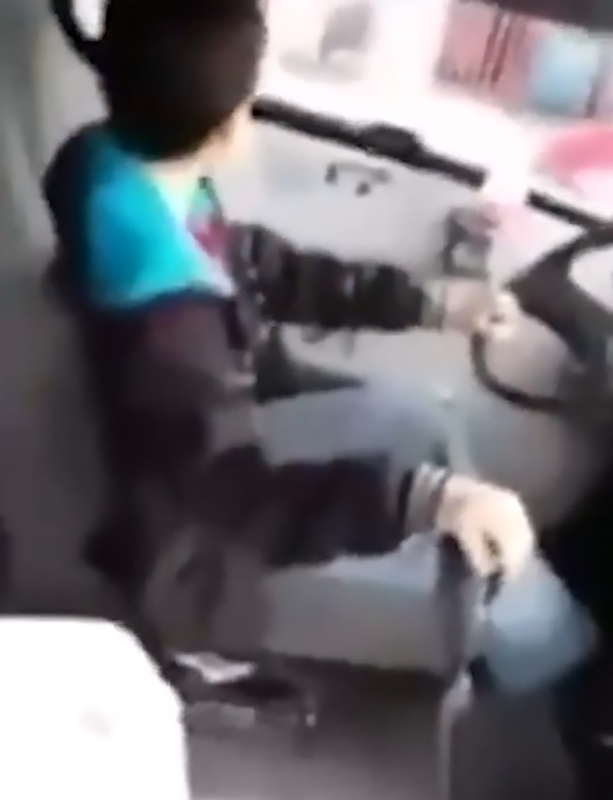 Seemingly competent at driving the large vehicle, the boy is seen handling the gear stick and appearing to blare the horn as he avoids the parked cars on one side of the street. At the end of the clip, the cocky youngster puts on his hood and confidently shifts gear. It is unclear who filmed the boy driving the bus and whether the local authorities are investigating the incident. 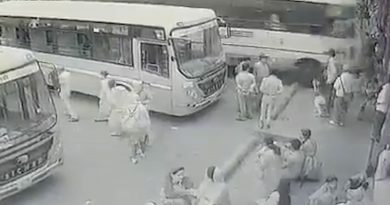 Netizens had a lot to say about the controversial bus journey, with commentators either criticising the incident or joking about the boy’s driving skills.